Step one takes you toward the setter to trick the opposing blocker. 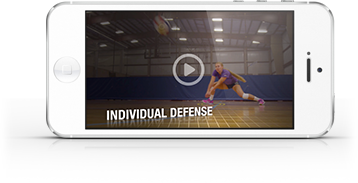 Step two takes you toward the sideline to create distance between the hitter and the net. Step three takes you up by transferring your horizontal movement into vertical movement.